Sports opinions are almost never unanimous. But there is a high degree of consensus that Muhammad Ali is the greatest heavyweight boxer in history. Much of that lasting reputation is based upon his classic wars in the 1970s against fellow legends like Joe Frazier and George Foreman. That’s fair. Ali showed peerless ring IQ, mental toughness and physical courage in those fights. But Ali was even greater in his younger years. 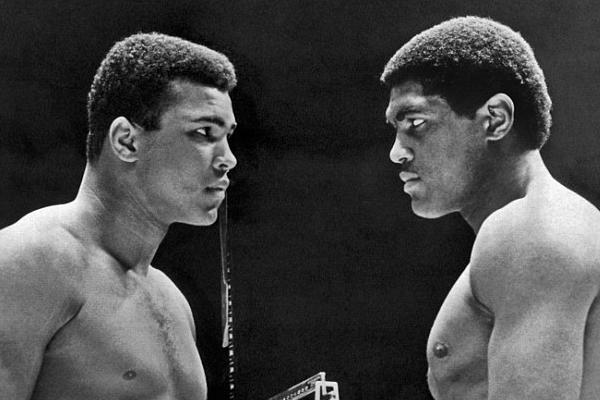 The version of Ali that won and defended the Heavyweight Championship in the mid-1960s possessed a combination of size, speed and agility never seen in another professional fighter. A classic example of Ali at his best took place on February 6, 1967 in Houston, Texas, against Ernie Terrell. Terrell was a great fighter in his own right–he probably deserves a spot in the division’s all-time top 50. He came in for his challenge against Ali riding a 15-fight winning streak, having defeated top contenders like Zora Folley, Cleveland Williams, Eddie Machen, Bob Foster and George Chuvalo. Ali was just entering the most controversial period of his public life. He had recently received his draft notice and indicated that he had no intention of allowing himself to be inducted into the military, making his famous “I ain’t got no quarrel with them Viet Kong” comment. Ali’s fight with Terrell was in fact delayed by over a year–it was originally scheduled to take place in Chicago in March 1966, but the Illinois AC had revoked Ali’s license when he refused to apologize for his comment. Ali had been forced to make four straight defenses in foreign countries, before Texas allowed him to defend against Williams in November 1966 and then Terrell the following February. Terrell famously irked Ali in the build up to the fight by insisting on referring to him as “Clay,” the name Ali had abandoned when he joined the Nation of Islam. Terrell would pay dearly for that sleight in the ring. Ali delivered one of the most savage beatings of his career, hammering at his taller, longer opponent and taunting him from Round 8 on to “Say my name!” By the end, the challenger’s eyes were swollen and bloody. Terrell would fight another half dozen years but never win another significant fight. Outside the ring, he formed an R&B group called Ernie Terrell and the Heavyweights, with his sister Jeanne, who would later leave the group to replace Diana Ross in The Supremes.